Are you looking to optimize even more in the coming year? The first couple years in my role as an inbound marketer revolved primarily around driving traffic. I was working for a startup whose focus was brand awareness, building a name for themselves, gaining reputation as much as gaining clients. In the past couple years, though, as the blog has grown and our ad budget and organic traffic sources strengthened, our focus has shifted. After all, there's no point in driving a single visitor to your website if it's not ready to receive them. This article will take a look at 5 of the most influential and inspirational A/B tests run in 2016 by some of the biggest companies out there. "Adding urgency on the product page [will] lead to higher conversions as people [will] have less time to think and [will] instead follow their impulse to complete the purchase now rather than later." 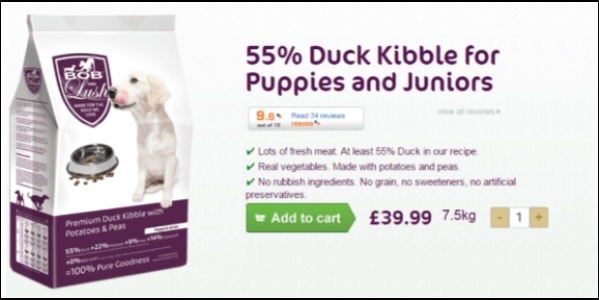 Adding urgency to product pages resulted in a revenue uplift of 27.1%. Your website visitors are lazy. It's not that they're saying no to you, it's not that they're not saying yes. They're not saying anything, just leaving. It's the easiest option. How many times have you been on Facebook and seen an ad promoting something you actually need, but because it's an ad or because you're not thinking about that thing right now you click "hide" and leave in disgust? More often than not, website optimization isn't a matter of convincing your visitor to convert, it's a matter of convincing your visitor to convert now. Adding an element of urgency (scarcity, lack of time, limited-edition, etc) provides the impetus many website visitors need to take the step. Urgency isn't just relevant in the ecommerce space. Many businesses have found it to increase conversion rates on webinar pages, B2B pricing and promotions of all kinds. I'll give a little intro here, because many of you just saw this subheader and said "seriously, James, you're going to tell us that one of the biggest and best optimization tests of 2016 was changing some text from green to red?" Adding visual elements (emoticons and color) will grab the attention of prospective customers and improve feedback/response rates and drive paid conversions. In light of the success of this A/B test (results below), he decided to test taking it up a notch by changing the ""Buy all scenes!" 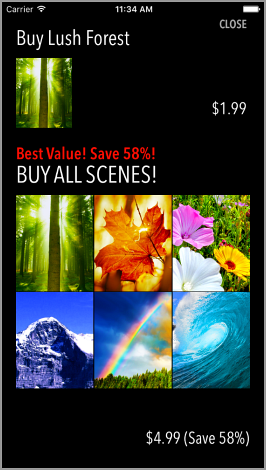 text to an eye-catching yellow, and reiterate the "Save 58%" incentive. He also made the button at the bottom look more like a button, by encasing it in red." 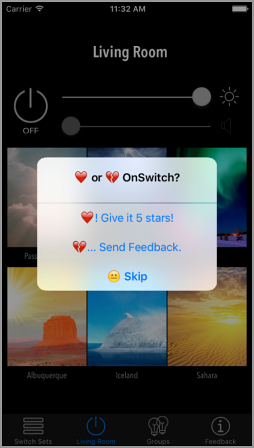 Adding emoticons decreased the number of people who clicked "Skip" by 2.23% and increased the use of the "Rate" or five-star button by 14.65%. Changing the value text from green to red improved sales by 5.6%. However taking it up a notch (changing "Buy all scenes" to a bright, caps yellow and adding the CTA button at the top) dropped conversion by 10%. The lesson to learn from this test isn't that red is better than green, it's that you never know until you test. The marketer who ran these tests was inspired to try the emoticon thing when he overheard a conversation at a conference. He had absolutely no idea if it would work. The color test is a standard one, but many early-stage site optimizers might say, "okay, if making this text more visible (red) improved conversions by 5%, then surely making it larger and adding a high-contrast button to the CTA will do even better," and implement without testing. The reason this is one of the best A/B tests of 2016 isn't because of what it was, it's because of how it was done. Read the full breakdown from MarketingSherpa for more. Negative CTAs, or "Challenging the Decision to Leave"
You've seen them everywhere. My blog has them. So do SumoMe, Social Triggers, Social Media Examiner, BackLinko, Razor Social, Dan Martell, SmartBlogger, Copy Hackers, and more. Introducing an exit CTA with negative connotation will improve popup conversion rates by causing viewers to stop and think, questioning their gut "no" reaction. The ‘No. I’m already an optimization master’ wording on the exit button improved the rate of email submittal/newsletter subscription by 27.25%. The reason this one finds a spot on my top 2016 optimization tests is because of the sheer impact that popups have had on the year. Almost every major content creating business has started to utilize them, and to great effect. Never before have optimizers been given the opportunity to, so clearly, challenge their website visitor's decision to leave. 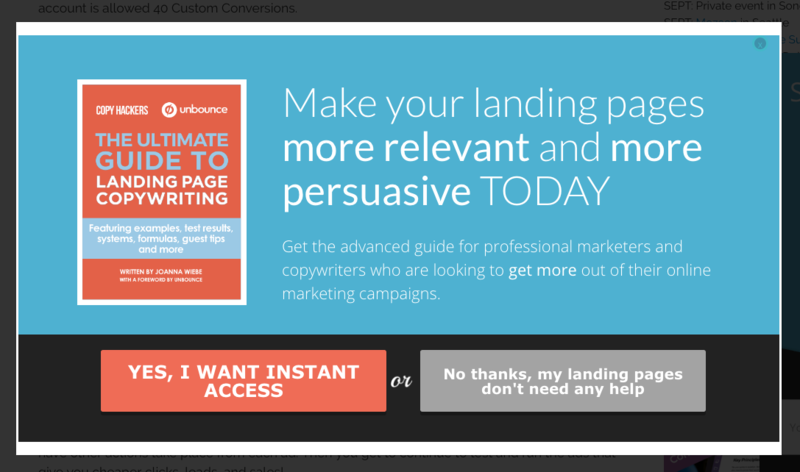 And that's especially true if your negative CTA is placed on an exit popup. It's a powerful thing. You're making people think. The gut reaction of anyone who sees a popup is to close it, no matter what. But with the negative CTA, they stop for a second. Clicking a button signifies a tacit agreement with the message on that button. 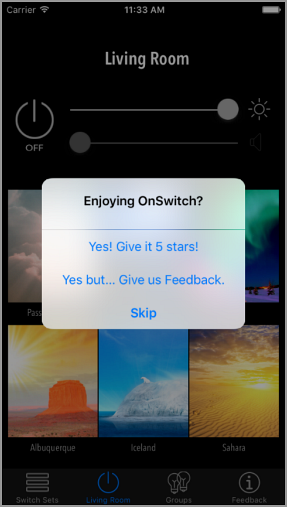 Messages like "No, I have enough sales," or "No, I don't want free help," force your visitors to agree to something they don't want to agree to. Dynamically changing a homepage's copy, image and CTA based on a visitor's industry (found using marketing automation) will improve conversion rate. Unfortunately (as expected with massive corporations like SAP), the statistics are a bit sketchy here, but a case study released by their marketing agency reveals the quote you see in the results section above. I've added this A/B test to my top 5 because of the power of dynamic website changes, and because they're going to become more and more possible for non-Fortune500 businesses in 2017. Marketing automation technology is amazing - allowing businesses to identify visitor's locations, brands, interests and more simply from the IP they're coming from, cookies on their browser, and other, more advanced technologies I don't understand. And this knowledge translates to higher conversion rates. 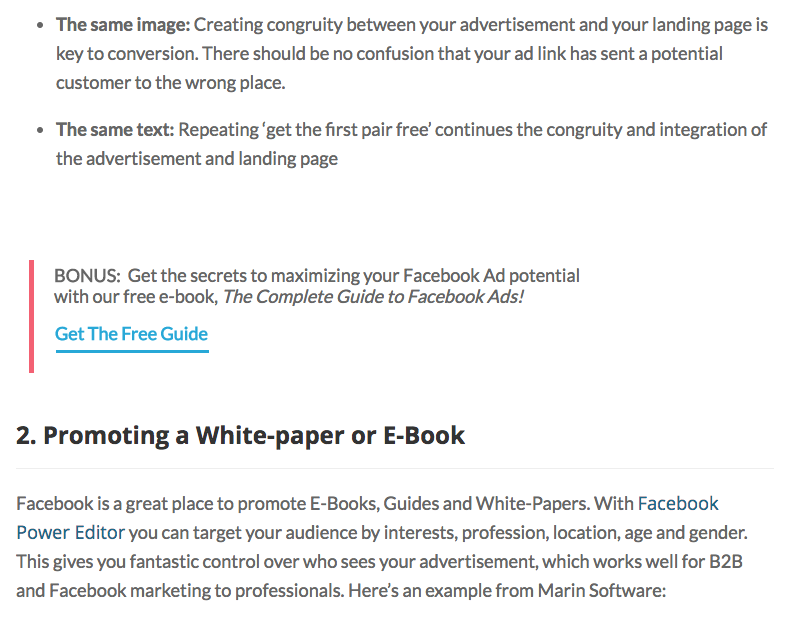 Even now, many landing page builders enable you to add merge tags to call leads by first name in the headline. Many SMB automation platforms allow you to remove form fields from landing pages if you already have the information. Segmentation is personalization. Personalization, always, results in higher conversion rates. Linking ebook CTAs within our blog content to click popups instead of landing pages will result in higher conversion rates. From Crazy Egg and ProBlogger to WPBeginner and ConversionXL, many businesses have moved their gated content from landing pages to on-page click popups in the past year. They say good artists copy and great artists steal, so it wasn't a big gamble for us to take inspiration. 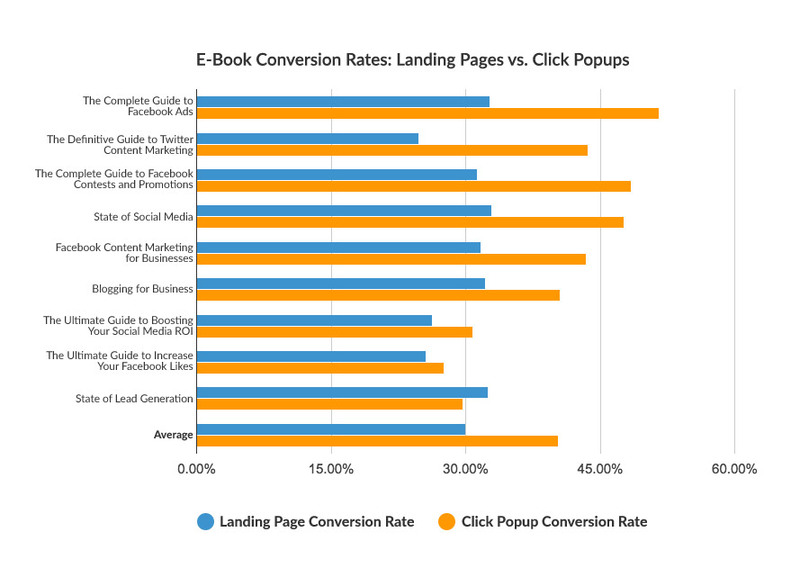 8 of the 9 click popups outperformed their corresponding landing pages. We saw, on average, a 35% conversion rate increase across all campaigns. 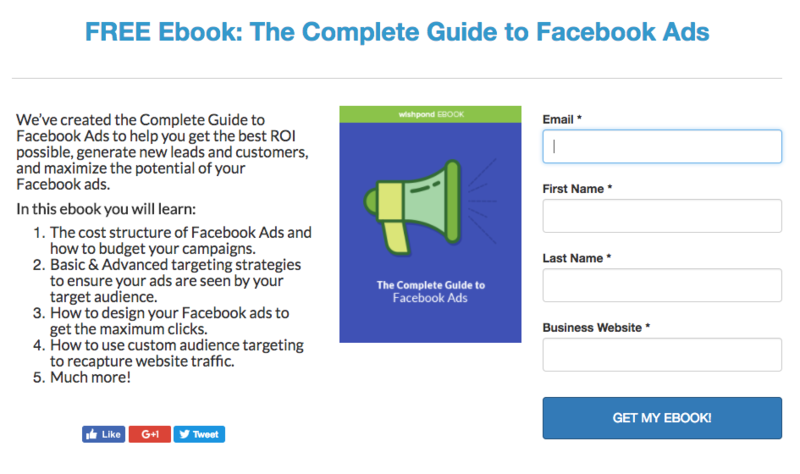 Click popups are one of the best ways to generate online leads. They're less involved and less work for visitors: Landing pages are great because they’re capable of conveying a significant amount of information, For ebooks or content upgrades, though, that "significant amount of information" is likely to reduce conversions for people who just want the content, now. They create urgency: Landing pages can be returned to at any time, there's no impetuousness required. You have time to debate and say no. If you say no to a popup, it feels like there's no returning. They don’t redirect the user from the current page: There’s nothing worse than clicking a link and being redirected to a galaxy far, far, away. With landing pages, the viewer doesn’t really have a choice - if you want to see the page, you’re going to end up on a new webpage. 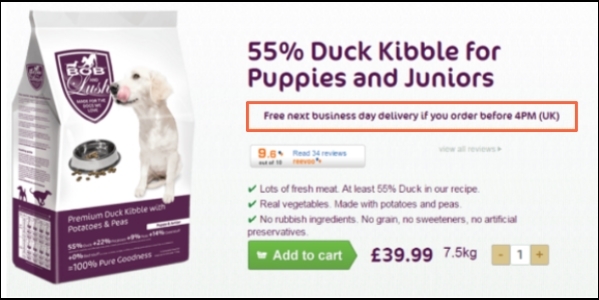 Hopefully these five A/B tests have got you thinking about optimizations you'd like to try. For growth marketers, the work is never done. And in the coming year, with more and more competition and more and more possibilities (that marketing automation/site personalization stuff is going to be huge!) it's only going to get more exciting. Good luck! And let me know if you have any questions in the comment section below.